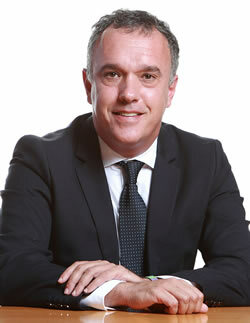 Alfonso Suárez joined Araoz & Rueda as a partner of the Labor Department in 2005. Prior to joining our firm, he was head of the Labor Department at the firm Suárez Migoyo (1980-2004). Alfonso’s extensive experience includes: labor due diligences, the hiring and dismissal of workers, implementation of workforce restructuring plans, modification of labour conditions, collective bargaining agreements and strikes, restructuring of staff, redundancy plans, labor advice to companies in insolvency situation, hiring of top executives, etc. He also has broad a experience in contentious labor conflicts, both in administrative and judicial proceedings, as well as in public state and local authorities. 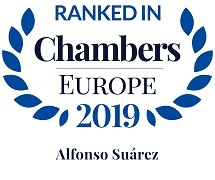 “Recommended Individual” in Labour in Chambers & Partners, The Legal 500 EMEA and Best Lawyers in all editions since 2007 up to the latest in 2019. J. D. from Universidad de Oviedo. Advice to international manufacturer of clay building materials on the restructuring of its workforce affecting different workplaces in Spain. 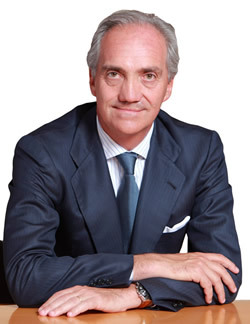 Advice to manufacturer of chemical aromatic products and perfumes on the hiring of top-executives. Advice to leading Spanish manufacturer and distributor of artificial pearls and imitation jewelry, on defense against claims of employees before the labour courts. Advice to leading supplier of refreshments and confectionary products for businesses and offices in workforce restructuring plan affecting several workplaces in Spain. Advice to group of companies dedicated to the distribution and importation of machinery in several judicial proceedings before the Courts, as well as in working time reduction plan. Advice to leading home furniture and decoration shops chain on the restructuring of its workforce. Araoz & Rueda's Alfonso Suárez offers expertise in negotiations with unions, individual dismissals and the employment aspects of M&A transactions. Sources recommend him for his "exceptional management of labour law and extreme sensitivity to the needs of the client." 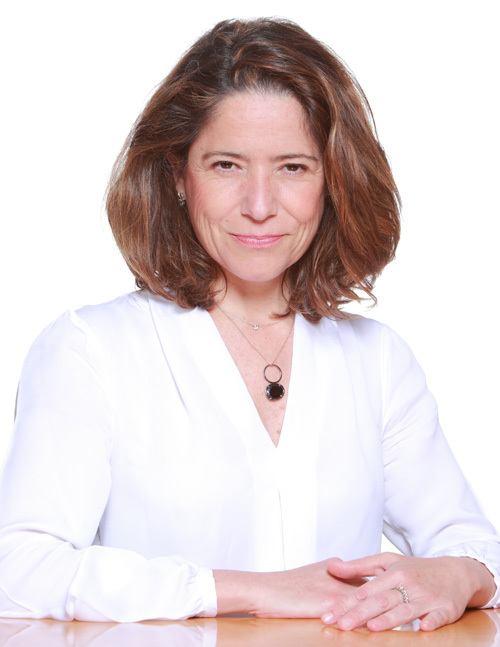 According to clients, Clara Mañoso of Araoz & Rueda is "extremely knowledgeable and a pleasure to deal with." She supports clients in the negotiation of working conditions and in collective dismissals. 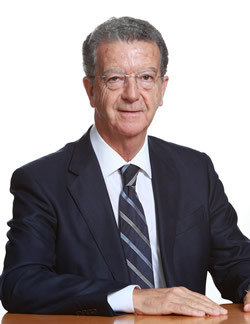 Included in the list of "Best Lawyers in Spain" in Labour. What the team is known for most active on the implementation of redundancy plans and on related litigation. Advises on the negotiation and execution of senior management contracts and handles due diligence in support of M&A transactions, particularly for companies in the food and beverage sector. Clients value the team for its "capacity, extensive knowledge and real accessibility." One source says: "They advised us skilfully on countless doubts or requests we had and they accompanied us whenever necessary." Work highlights Acted for Grupo Emperador on the labour aspects of its acquisition of a brandy distillery in Jerez de la Frontera. 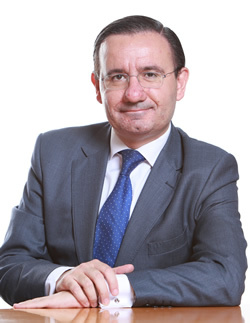 Alfonso Suárez assists with corporate transactions, claims brought by trade unions and issues relating to the hiring and termination of senior management. He is valued for his "very high technical knowledge, effectiveness and client service," with one source adding: "He has a calm presence and facilitates reaching agreements." Clara Mañoso has experience in litigation and advising on the employment aspects of transactions. Clients report: "Clara is decisive, effective and establishes arguments with conviction, as well as being polite, respectful and good at anticipating any possible situations in advance." Araoz & Rueda is regularly instructed by clients in the retail, spirit and food sectors, on contentious and non-contentious matters. In the finance space, it recently acted for Spanish-based private equity fund Black Toro Capital on labour matters relating to its acquisition of Marypaz. 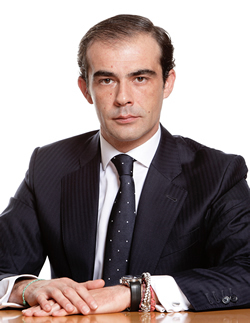 Of counsel Alfonso Suárez, who has ‘exceptional knowledge, solid experience and commercial skills’, heads the team. Most active on the implementation of redundancy plans and on related litigation. Also handles due diligence in support of M&A transactions. Strengths: clients are impressed by the firm’s “ability to negotiate with the unions and provide good advice in difficult situations”. “They are thorough in their advice but are also practical in that they don’t allow excessive detail to affect the practicality of their service”. 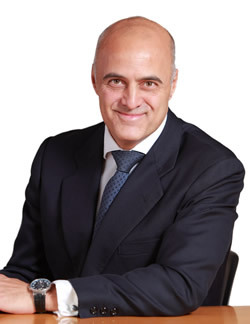 Clients praise Alfonso Suárez’s negotiation skills and say that he “goes the extra mile to support my business in terms of providing relevant practical information”. He acted for Pelican Rouge Coffee Solutions on a redundancy procedure and on negotiations for the modification of working conditions. Alfonso Suárez heads the team at Araoz & Rueda, which recently advised Brightstar 2010 Mobile on two redundancy procedures involving over 100 employees. Other clients include the Becara Group, Orpea Group and British Foods. Araoz & Rueda retains an impressive list of clients including family businesses and companies from the food industry. Offers services from M&A-related matters to advice on employee handbooks, all kinds of dismissals and protection of trade secrets, with a broad litigation practice. “The high degree of partner involvement in the matters really stands out”. "Our satisfaction is utmost: the response time, empathy and involvement in each of the matters dealt with is very professional”. Recommended for negotiation of contracts, litigation and workforce restructuring, Alfonso Suárez ”understands clients' needs to perfection." Sources comment that he is "quick, efficient, professional and a great negotiator”. Incluido en la lista de "Mejores Abogados de España" en Laboral. "I cannot praise the lawyers highly enough; they are always absolutely clear, precise and punctual". 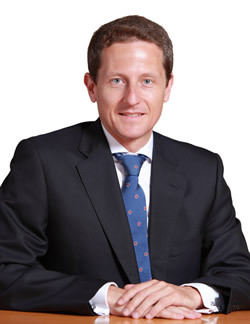 Alfonso Suárez often assists Spanish clients with collective dismissals and company restructurings. He is also known among peers for his supporting role on corporate transactions. Araoz & Rueda's "response times are excellent" and "clients' needs are understood". The firm is "extremely knowledgeable in employment matters" and is "great value for money". Alfonso Suárez is the name to note. “The lawyers show rigour, make a deep analysis of all different perspectives and are always at your service”. Alfonso Suárez is singled out for his experience in collective redundancies. Araoz & Rueda’s advised Becara on a workforce restructuring, and acted for Chanel in proceedings over the termination of contracts. Alfonso Suárez is recommended. Sources say: "Great level of partner attention. The lawyers are always there for us and provide constant support." Alfonso Suárez leads the team. One client described him as "hands-on, completely available and solution-oriented. I feel comfortable and well protected with him." Araoz & Rueda’s recent mandates include advising a confectionery supplier on restructuring, including redundancies, suspensions and modification of employment conditions. Alfonso Suárez is the key contact and is recommended. The compact employment team at this full-service Spanish firm receives consistent praise from market observers and peers. Sources say: "Excellent knowledge, fast and great in negotiations". Practice head Alfonso Suárez is "highly experienced and meticulous. He has a lot of initiative and is outstanding in court". Araoz & Rueda's small but robust practice is led by Alfonso Suárez, "a true star" and "one of the best lawyers in his field in Spain". Sources say: "The relationship with this firm is magnificent, there are no time delays and the partners are always available". 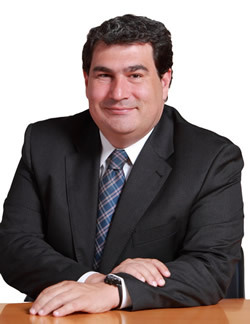 Alfonso Suárez is a well-respected employment lawyer and enjoys a strong reputation in the market. The employment department at this reputed Spanish firm has particular strength in regulations and dismissals but advises on all employment issues, including implementation of workforce restructuring plans, negotiation of collective bargaining agreements and contentious labour conflicts. Department head Alfonso Suárez has extensive experience in the field and is admired by clients for his "deep knowledge of the law and great skills in court." Araoz & Rueda´s labour department is praised for its "excellent client care, fast responsive and robust advice." "It clearly stands out among other firms in Spain", say clients. The labour team is led by the "knowledgeable, responsive and thorough" Alfonso Suárez. 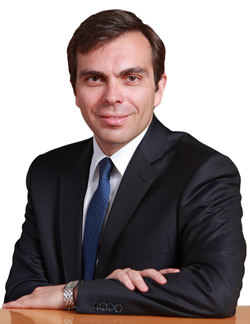 Department head Alfonso Suárez is described as "a master in his field" and is highly regarded for his preparation on a case and close ties with his clients. “The firm always delivers value for money and is punctual” say observers. “Vastly experienced” Alfonso Suárez is praised by clients for his “splendid strategy during trials”. In case of interest, please contact our marketing department. Founded in 1994 by Alejandro Fernández de Araoz and Pedro Rueda, Araoz & Rueda, currently at Paseo de la Castellana 164, is a leading Spanish independent firm with broad-based corporate and commercial practice and particular expertise and recognition in M&A and Private Equity.